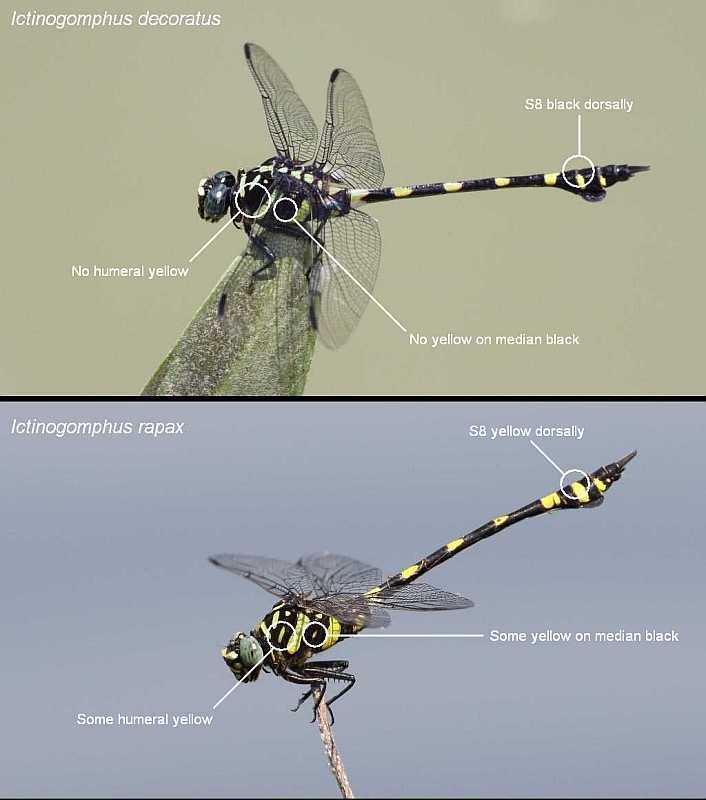 I met Ictinogomphus decoratus (Common Flangetail) in Singapore and Cambodia. When we visited Sri lanka in March 2019 I saw a Flangetail again and it looked pretty much the same. However, this turned out to be Ictinogomphus rapax (Rapacious Flangetail). I struggled with the idfferences, there being little defininitive help that I could find.